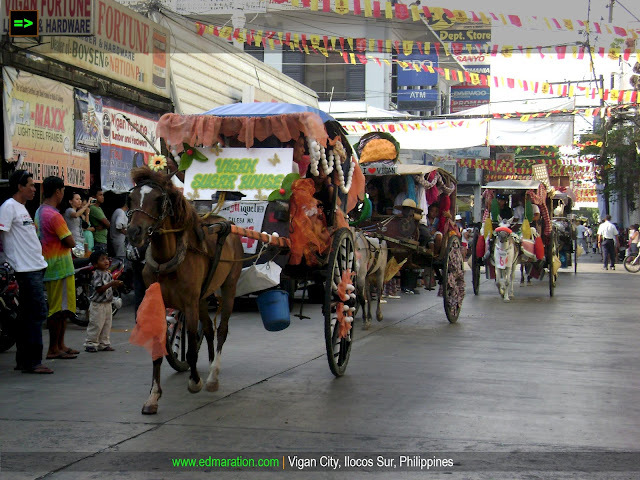 "This form of transport system has been in Vigan since the Spanish colonial era and until now, it remained present to the streets of Vigan for centuries -- and today, they own this festival." 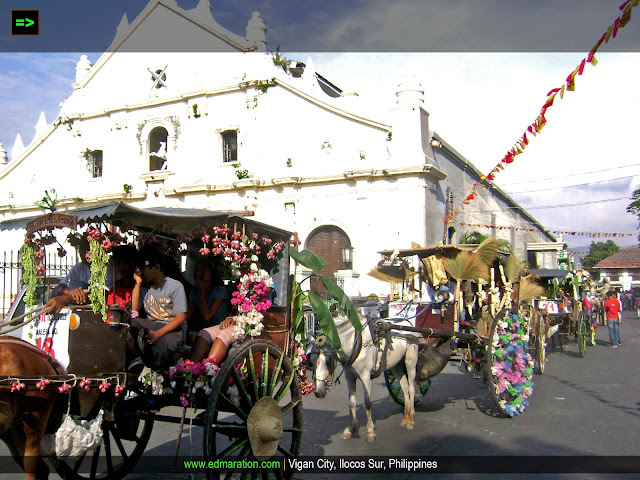 Vigan, being a home for rich culture and intact heritage in the Philippines, it is not doubtful why many have fallen in love with this world heritage city and just this week, the Viva Vigan Festival of the Arts 2012 has just began. The first main event for this festival is the Calesa Parade [2012 version]. Calesa/s became the stars of the day. All were decorated with beautiful designs mainly depicting the rich culture and heritage of Vigan. The calesa/s were just stunning as they take the parade route. The sun was very present this day and it can not be denied that it was hot. But I can see the enjoyment of the people watching those lovely calesa/s on a parade. The old and the young, I can see the smile to their faces as they see those calesa/s dressed in a way that they are not used of seeing. 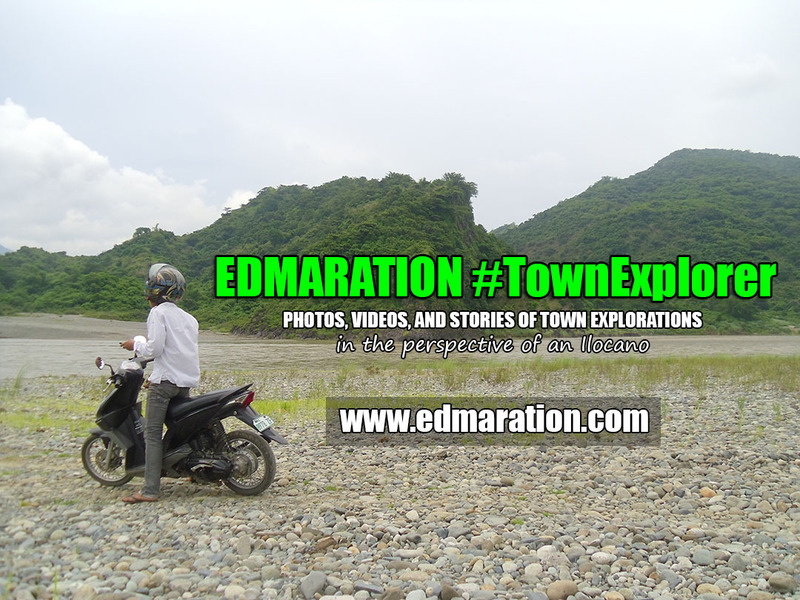 The city became vibrant, full of people, both the locals and tourists, travelers and visitors. 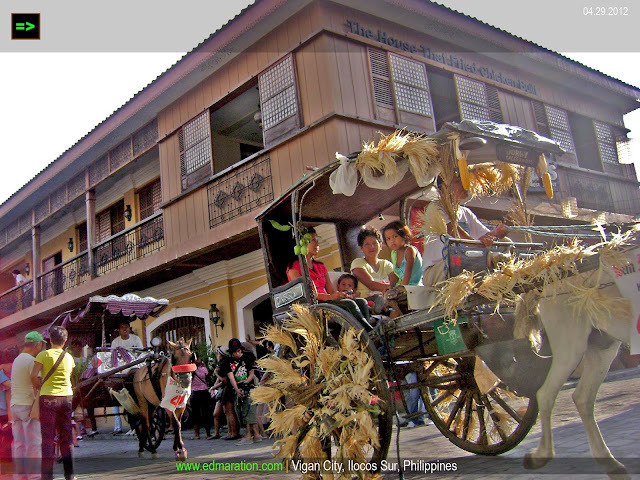 Vigan turned colorful instantly and the people of Vigan has just showcased their creativity and skill on arts. 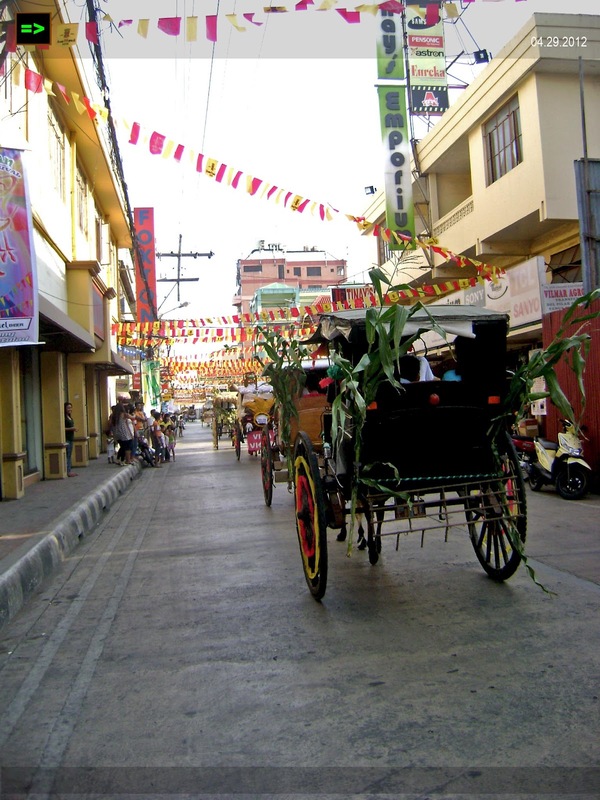 Calesa is a common form of transportation in Vigan but usually, they cater for tourists who want to roam around Vigan. 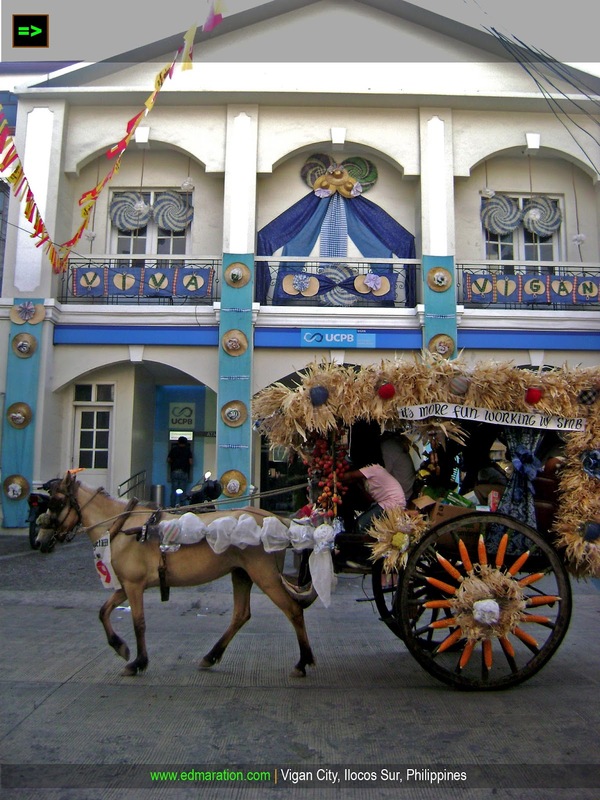 This form of transport system has been in Vigan since the Spanish colonial era and until now, it remained present to the streets of Vigan for centuries -- and today, they own this festival. 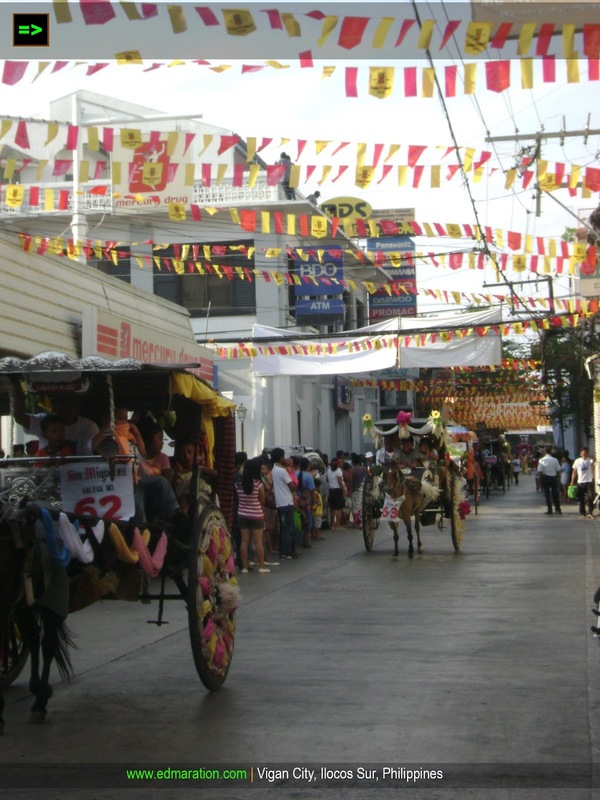 Calesa with the image of Calle Crisologo has been synonymous to Vigan. 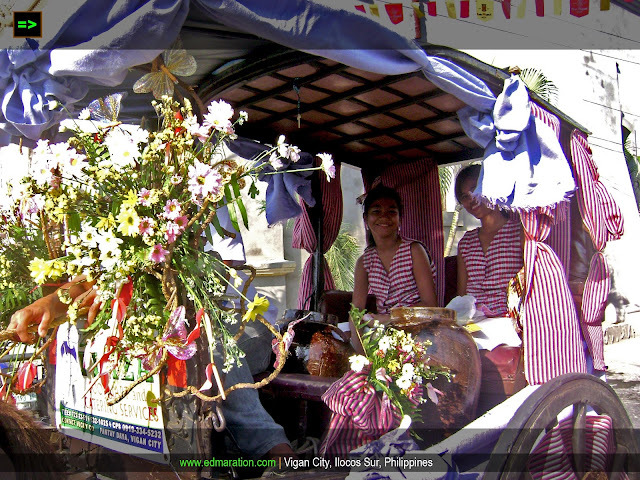 Viva Vigan Festival of the Arts gave way for these horse-drawn carriages to shine even brighter even just for a day. first time to see a calesa that colorful. it's good that they try to innovate the once famous mode of transportation. Sir Dong, really.. Kudos to the city government of Vigan for coming up with this. bat mababa radar ko at hindi ko nabalitaan? haha. nice post! It's about time this traditional mode of transportation get some love (or is this a long-running festival already?). But more than the decors on the calesa, what I liked in your photos is seeing healthy horses. Most of those I see in Binondo are so gaunt; my heart bleeds for the poor animals. Wow! I love my Calesa Tour in Vigan several years ago. I was not informed by my friends about this Calesa Parade sayang! Ive never riden one Calesa my whole life..
Everytime I see one, I'm drawn back to a time when these are the primary modes of transport. 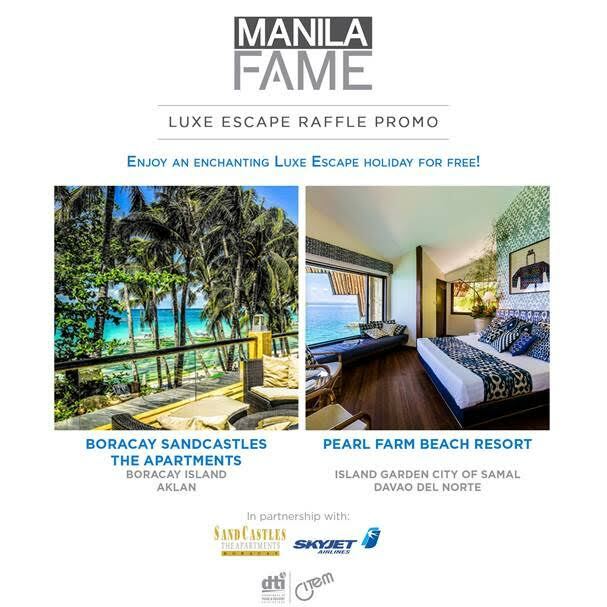 This post reminds me of this particular area in Cebu where a few calesas are still being used pero I don't really like it because the horses are poorly maintained etc. 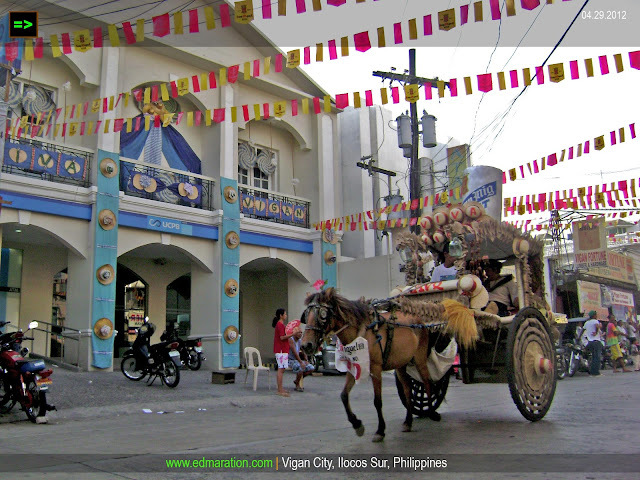 Vigan is I think 2-3 hours away from Bacnotan in La Union right? This parade truly entertained the onlookers. the design of every KALESA stood out.